This is a five-day indispensible class if you are an Angelic Reiki Master (Angelic Reiki 3&4) who wishes to explore the power of Angelic Reiki in depth and significantly raise your consciousness. Increased confidence, knowledge and authority in your teaching. 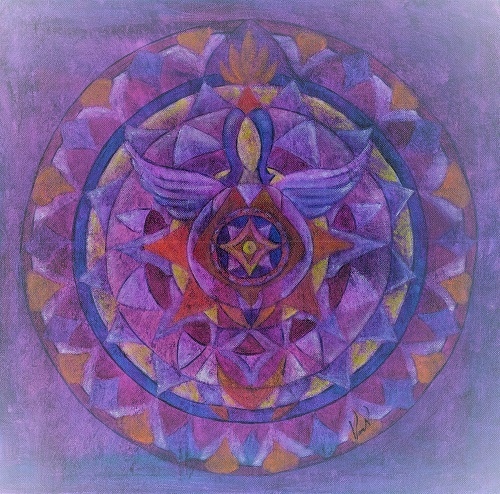 An understanding of the esoteric heritage from which Angelic Reiki comes. Additional advanced light body healing techniques that increase your ability to heal the most persistent challenges that your clients present. Answers to questions that have only been given to the presenters because of their life’s work in their spiritual disciplines. A deepening of your spiritual connection with your guides, your fellow participants and a genuine upliftment on your ascension process. During a powerful channelled communication from Kevin Core, who was inspired to bring Angelic Reiki to this time, Colleen was given the honour of being the advocate voice for Angelic Reiki and encouraged to continue to develop Angelic Reiki as Kevin had intended. You may have clients who just don’t seem to heal even with Angelic Reiki and other healing modalities. They can be trapped in a circle where they come back repeatedly with the same challenge, although disguised. In this workshop, you will learn how to help these difficult clients. You will learn about and be able to work with the axiatonal lines: why there is a disconnection and how to reconnect them permanently for your clients. You will understand and therefore more powerfully be able to create the golden pyramid of light that we create during attunements. You will deepen your connection with the white flame of ascension – fully understand where it comes from and its purpose. You will understand who Aru-Kiri is, why we transmit the eye healing in 3&4 from the right eye and so much more including a new healing method which was just given from Archangel Metatron and Kevin, which they call Parallel Healing. Colleen and Glen will be sharing their extensive knowledge and will be prepared to address much more depending on your needs. You are invited to contact them with your questions and your goals any time before the workshop to ensure they are met. This is an advanced level workshop and as such you will carry out six case studies based on the skills and knowledge gained and have access to coaching and mentoring from them during this time.